He got a couple pounds of chicken fingers and some mountain dew, talked to a “cousin” that was in the store too, and then we waited together in the car. By this time I realized through our conversation that he was very drunk and currently homeless and out of work, and he had just met “his girl” that night. What. So, after repeatedly asking him not to smoke in my car, he finally started smoking in my car and immediately started to fall asleep with a cigarette in his mouth. Adventures. So, while trying to keep him awake, I kept dialing the number for his cousin and for “his girl.” Nobody answered, so I told him that I needed to go and after much drunken discussion, I finally got him to agree to let me drive him to his parents house, even though he isn’t welcome there. It was a chilly night but he said he could sleep out with the dogs and not bother his parents. This was becoming a weird night. Anyway, after driving out into nowhere for fifteen minutes, he finally pointed to a house and I dropped him off and said good night and good luck and gave him some bus money. I learned a lot about Brian. It also gave me time to think and pray about my life. I have so much and need so little. I am fine helping others when they have a desire to change their circumstances or when they have no other options. I am against people abusing the government and taking my money from a bureaucratically-bogged down system called welfare or unemployment. We need reform, and we need local governments and citizens to take charge of feeding and clothing and housing the hungry and the helpless, so that they can get back on their feet and return the favor to their local economy by working and living and being honest people. 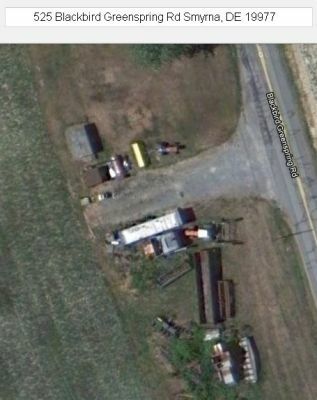 Basically, a graveyard of tractors and trailers and other assorted machinery. A bit frightening to be there alone with just him. That’s all. It is interesting, isn’t it? Talking to people in those situations. It was nice of you to buy him something to eat and listen to his (drunken) story. I hope that with situations like that it plants a seed in the mind of those that are on the receiving end of the hospitality. I think the biggest error we make is when we assume that the other person (the one in need) understands that life doesn’t have to be that way. In most cases, they don’t realize that. It’s hard for us to truly relate to others, whether they’re in a better situation or worse, when they are on the other side of the fence. I think that’s why there will always be the great divide between the rich and the poor. Not because we have the inability to be rich, or the opportunities to stay out of the poor house, but because we are looking at the world and life from completely different sides. Sometimes that bridge can be built, but most of the time it won’t be. But you did the right thing by taking him somewhere to sleep (even if it was somewhere scary), giving him something to eat, and being kind when the rest of the world is pretty cold.